The Humphrey Engineered Solutions team started with the problem of maintaining high flow characteristics and low current consumption in a valve assembly that must function in a normally open state. 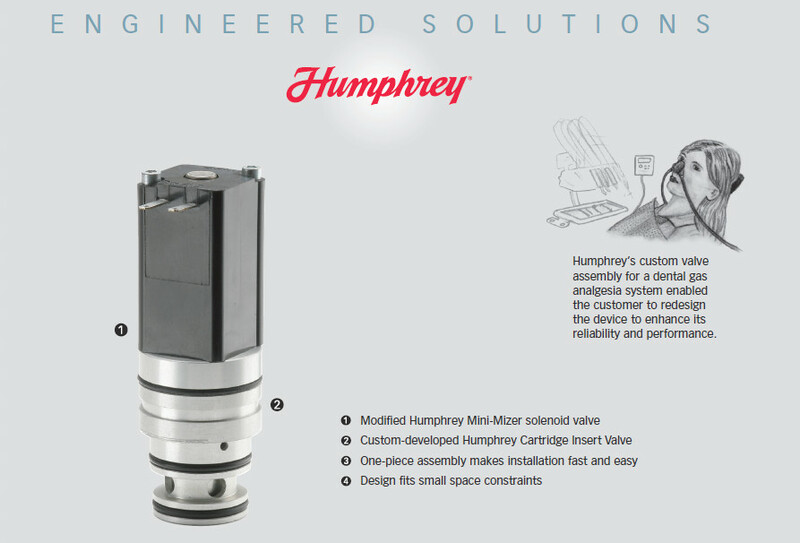 Humphrey modified both the Mini Mizer and their insert valve by running the flow path up through the center of the stem in the insert valve. This would deliver pressure to the Mini-Mizer valve, maintaining the optimal poppet-seat seal. When the Mini-Mizer valve is energized, it delivers pilot pressure to the piston in the insert valve, shifting the piston down, sealing the insert valve poppet.